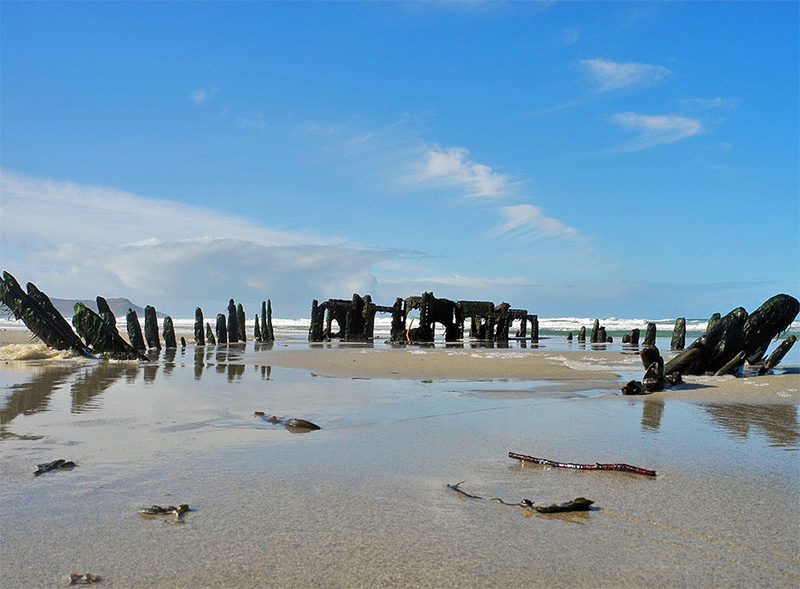 The wreck in Machir Bay in April 2015 during a sunny morning on Islay. Low tide providing easy access to the wreck, allowing this view from very low to the ground. Also some dramatic clouds in the distance, but they passed without bringing any rain.